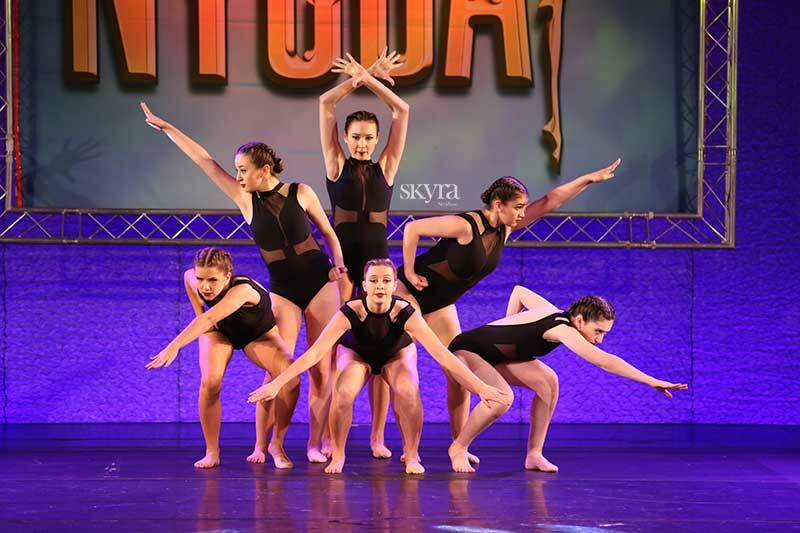 The Skyra Commercial Company is recommended for dancers of various styles that want to take their training to the next level. 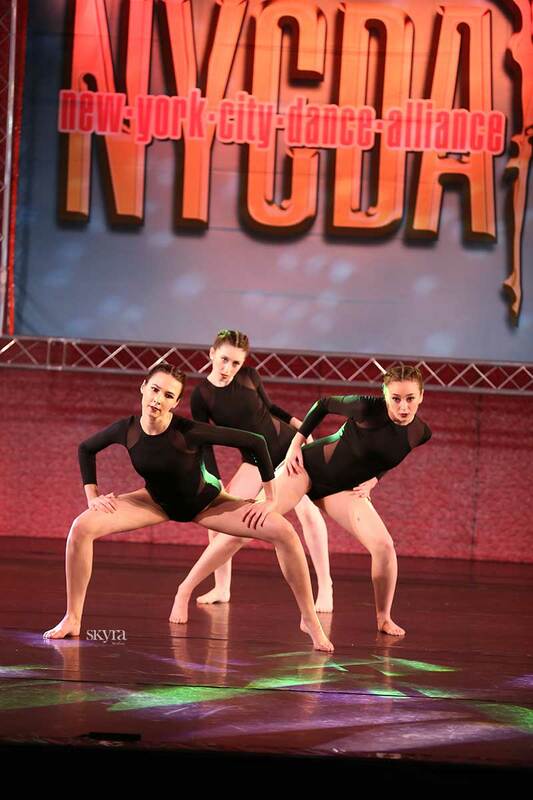 This focused company is designed to prepare its members for a professional career in dance. Dancers train year-round to maintain and improve their technique, balance, strength, flexibility, performance skills, and artistry. 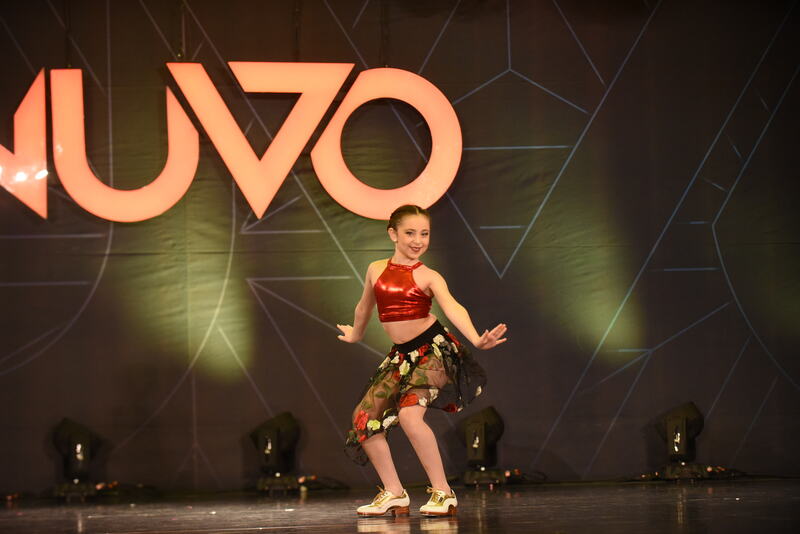 Dancers range from ages 7-18 and each dancer is required to take a minimum of 12 training hours per week plus rehearsal time. 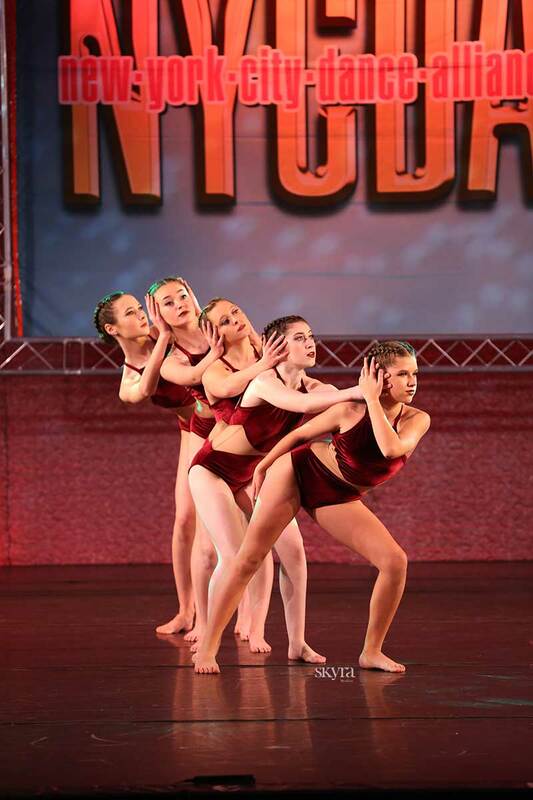 Dancers have the opportunity to compete solos, duets, trios and group numbers locally and nationally if they so choose. 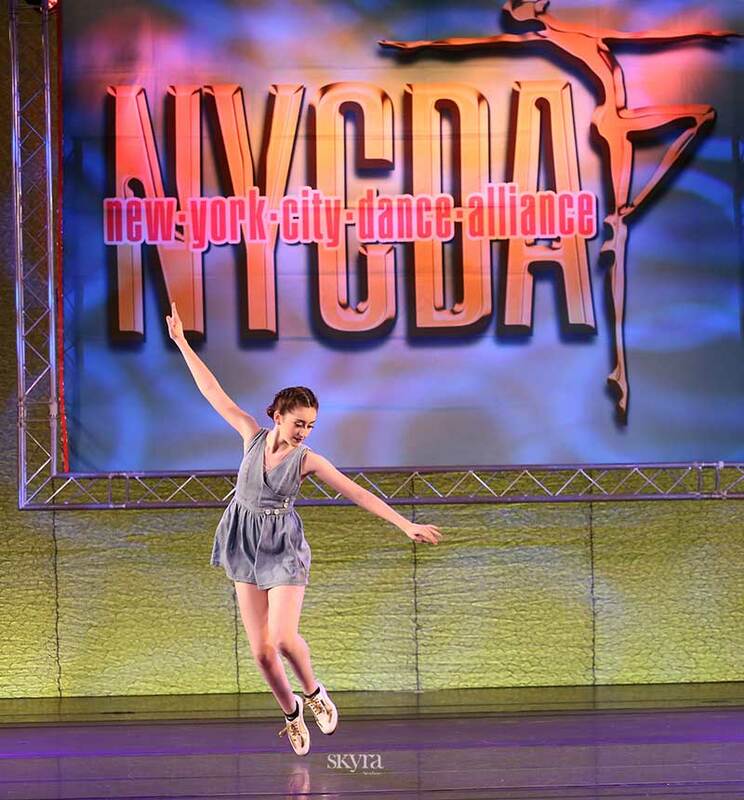 Dancers participate in at least 3 Regional Competitions per season. 1 Convention per season is also mandatory. 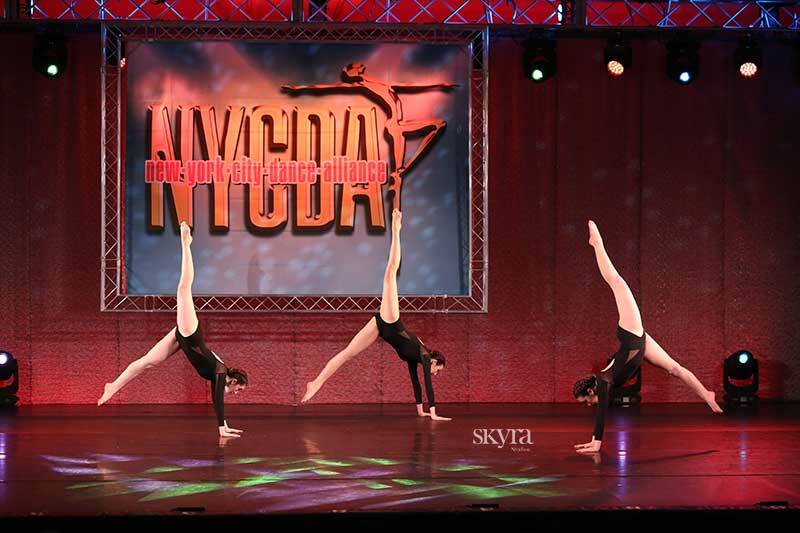 The benefits of the Skyra Company reach far beyond just learning to dance, perform and winning trophies. 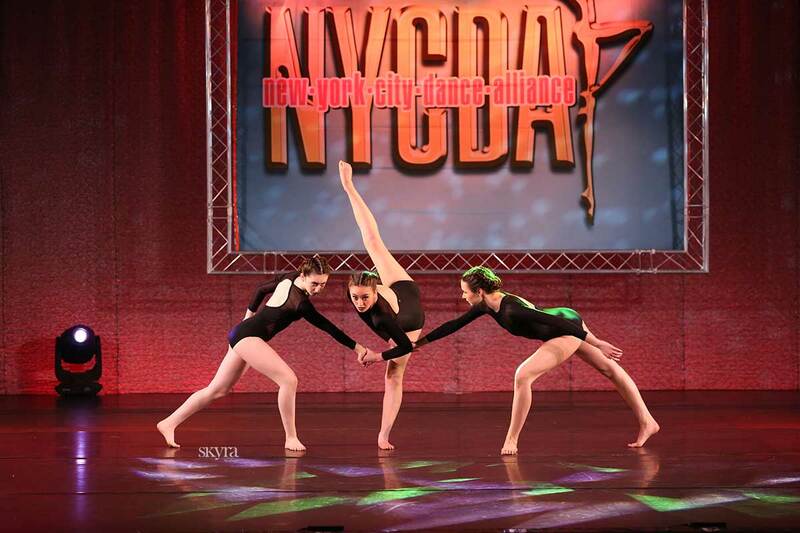 Dancers build lifelong friendships on the solid foundation of their many hours spent training, and competing together. They learn core values such as teamwork, dedication, time-management, discipline, healthy lifestyle habits, and achievement. These important lessons will carry them on any path they choose to take in life. 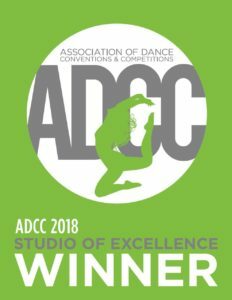 Company dancers are required to take a minimum of 12 hours of classes per week in order to qualify for the Competition team and receive unlimited pricing. One of our 2 Summer Sessions is required for company members. You can choose half or full day options. For more information on our Summer Intensives, Click Here. If you are unable to attend a live audition, you may request a personal placement appointment by email at info@skyrastudios.com or submit a video audition. Ladies: black leotard, pink transition tights, ballet shoes, and hair secured in a ballet bun. Ladies en pointe for two years or more should bring pointe shoes. 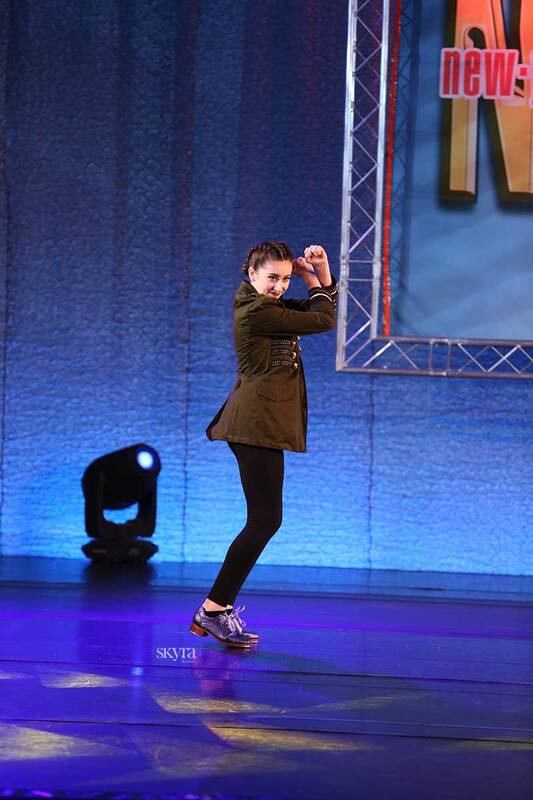 Black shorts may be worn for contemporary. Gentlemen: black or white t-shirt, black leggings, and black or white ballet shoes with matching socks. We will begin choreographing for the 2019-2020 season this summer. Additional Guest Choreographers to be announced.